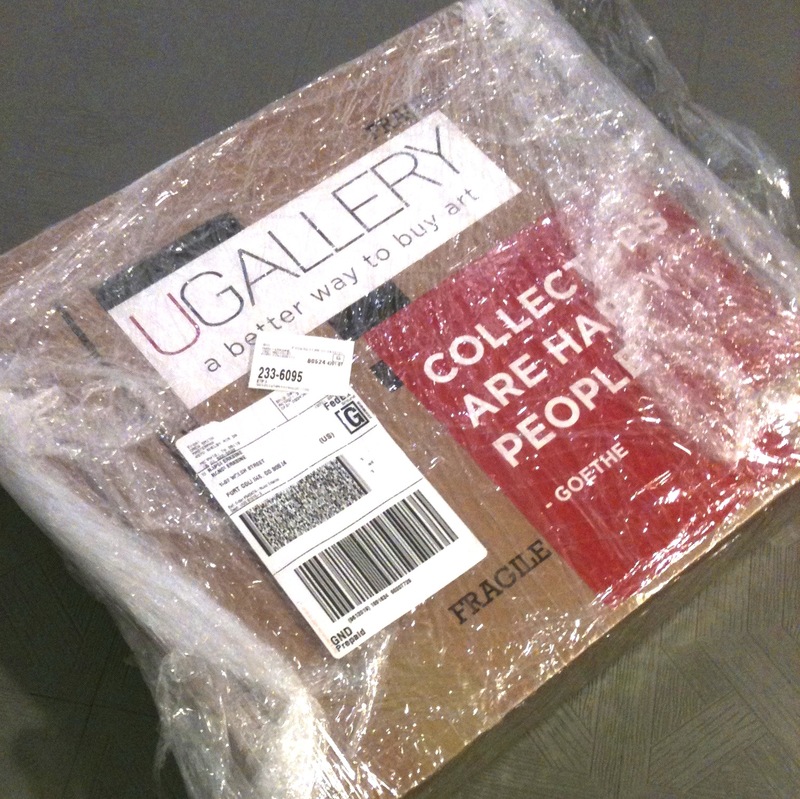 When I sell a piece of art, a box from UGallery comes to my door. (wrapped in way too much plastic) I pop my work in the foam sandwich/cutout, stick on the prepaid label and drop it off at the UPS store. What a genius system! I’m not normally one to ask for help…part of the lineage of work-ethic Protestantism, no doubt. I’m not normally prone to getting other people to do things for me like mowing the lawn, helping me get places, cleaning the house, (a somewhat rare event anyway) stretching or priming canvases, doing other tasks around the studio. But lately, I’ve been rethinking that position. There are various piles of slides in my studio, now that I’ve sold the cabinets they were stored in. And, since the technology of documentation has changed during my time as a painter (and will probably keep changing), I need to convert these images of work into digital files. The local arts incubator start up in town has forged an alliance with the university art department, and there’s a small class of students who want to learn more about being artist-business people. Part of this involves an internship with a local artist or arts organization. Being in the class last night, I was struck by the energy and optimism of the students, but also how much they need some real world experience. It almost strikes me that getting young people all riled up about being a business before they have gotten very far in their art making process might be a bit premature. And I think they need some introduction to the daily slog and hard knocks that come with being in any creative endeavor and needing to find an audience or support. At the time I left school after getting a BFA, I was already an older student, since it took me a while to go back and earn the degree. But in fact, that was a good thing. I had a chance to experience many other places, and experiences, and when I did return to school, I was incredibly more disciplined and focused. ie: a better student. Then, after the BFA, I took a year to just work and paint on my own, seeing if I had the mentality to be by myself for hours, working on things that may never see the light of day or get any recognition. Turns out, this suits me. Then, I went on for an MFA, and after that, most of us were thinking “university teaching career” is the way to go. The majority of the people I was in grad school with, ultimately ended up taking that road. Some are still on it. Because my path led me to leave the academic world, which at the time was a rather hostile environment, I am now at another cross roads, where my career as an artist is pretty much up to me. The world would not suffer if I quit painting cold turkey, but I might. So, in this latest iteration, I am venturing out into venues that didn’t exist when I first began, and there are lots of learning curves, which is good, because challenging my brain with lots of new information and problems to solve is something I relish. This entry was posted in Studio Blog and tagged Education, Master of Fine Arts, Nanci Erskine, older student, why painting matters. Bookmark the permalink. 3 Responses to help wanted….? Older painter here! I liked your posting of help wanted, it rang many bells. I would share this; Anyone who actually produces art done with true effort and commitment, no mater how the art may look, would leave the world suffering some if they were to just quit cold turkey. Even weeds are persistent enough to take over a garden, and we call them weeds because they are at first unwanted. Every flower began as a weed. Your post was a call out for encouragement. So be encouraged. I like your stuff and would miss it. thanks so much for the reply. Yup, one thing I’ve learned and put to use over and over is the quality of resilience. I like the stories on your blog!